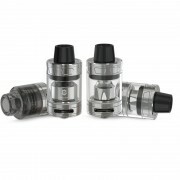 Joyetech RIFTCORE DUO Atomizer has 3.5ml capacity. 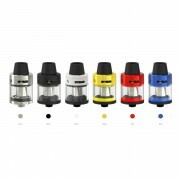 It features Coilless system, making vaping easier. The push-to-open top filling design allows you to refill conveniently. With the Joyetech RFC heater, it can heat fast and evenly while working, delivering intense flavor. 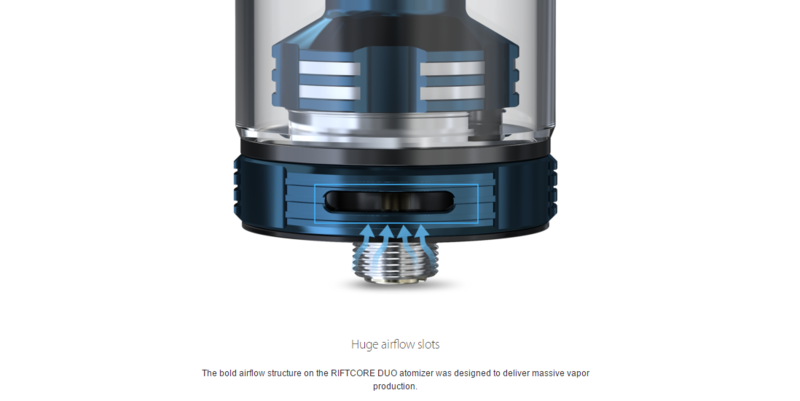 And the RFC heater is designed with a self-cleaning function, which allows a simple replacement of cotton for a pure and delicate vaping experience. 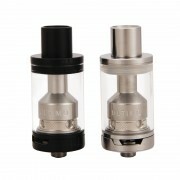 And the huge airflow slots provide you with huge vapor production. ➤ 3. 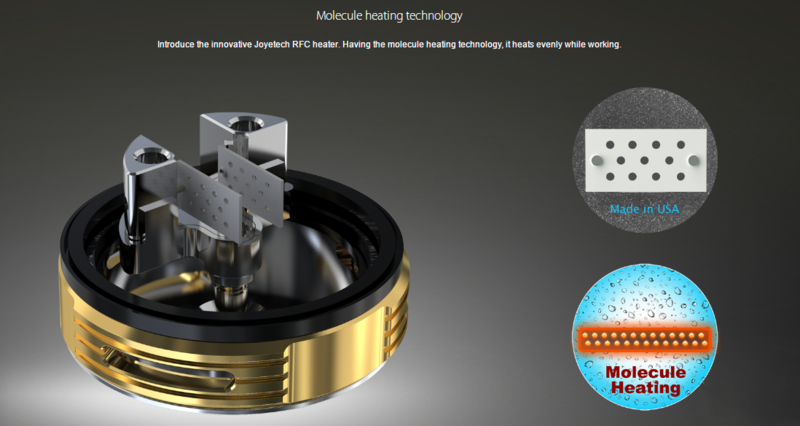 Joyetech RFC heater. ➤ 4. Push-to-open top filling design. ➤ 6. Heat fast and evenly while working. ➤ 7. Huge airflow slots. ➤ 8. Provides long life span. 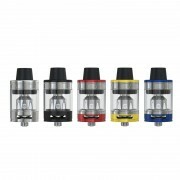 ❤ Please read the user manual carefully before using Joyetech RIFTCORE DUO Atomizer. 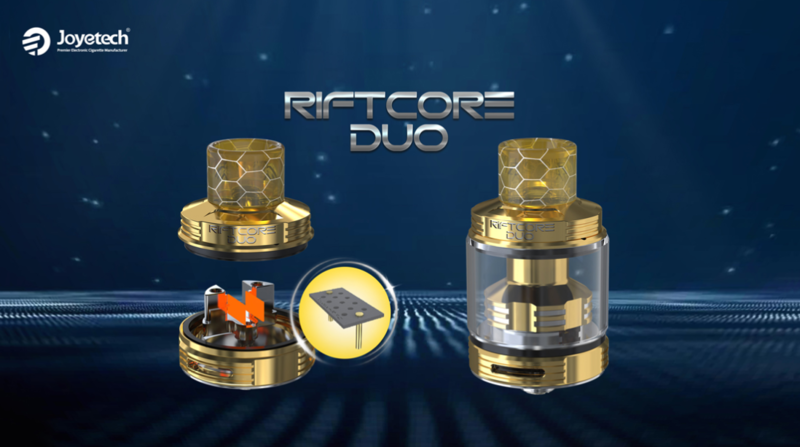 ♻ 3 months for Joyetech RIFTCORE DUO Atomizer.